1. Root your phone. Click here to root if you haven't yet. 2. Install ClockWorkMod (CWM). Click here to install it if you haven't yet. 1. Download the rom you want to flash. Example: you can download this one. 2. Copy the zip file (the rom) to the USB Storage. If you downloaded the file in parts, you need to extract it (using 7zip) into only 1 zip. 4. [Optional] Backup your current ROM using nandroid (just in case). First boot after install a rom usually takes longer than usual. So, please patiently wait. first boot after install a rom takes longer than usual..
how long it take?i wait for 1hour nothing happen..please advice..
1hour? if 1hour usually, it does not work.. try to flash other rom..
Shall I wipe data before flashing a rom ? yes. it's recommended to wipe data before flashing a rom. what would happen if we dont wipe data before flashing a rom?? If u flash from gb to ics, u need to wipe data because almost all apps will become force close. If u flash from gb to gb, u can choose to wipe data or not. But, some apps might not working after u flash the rom. so, u need to uninstall and install the app again. what stockrom should i use before i flash to custom rom? No need to worry about what rom you using now to flash custom rom. It's just like changing your OS in computer. You dont have to care about your current windows (XP for example), just install what windows you want (ex: win 7) because windows XP will be gone anyway. ohh now i understand tnx a lot man. anyway what is the recommend stockroom for you? you mean you want to use stock rom ? If so, then use latest stock rom. But, if you want to use custom rom, i recommend using Bionic V2.. Stable but still a lag in a few HD games. I want to flash the cow with gun rom .Are there any more instructions than that found above for flashing the overclock version . And I want to know if there are any default apps removed in this rom . Flasing overclock ROM is the same as flasing non-OC ROM. I dont remember what bloatware is removed from this ROM. But, if you want to flash an overclock ROM, make sure to install Set CPU. This app can change CPU settings in your phone. Ok thanks , but can i reinstall bloatware again if they were removed and how ? You need to make a backup of current rom that have all the bloatware you might need. You can also copy the bloatware from other custom rom. Remember: bloatware apps is in the system/app folder. Example: if you flashed a rom without a calculator. You just need to copy Calculator.apk from your backup rom or other custom rom (Which you can find in system/app folder from the backup rom or other custom rom). Then, paste Calculator.apk in the system/app folder using root explorer. Done. This custom rom supports ics 4.0? Sorry. I dont really understand your question. 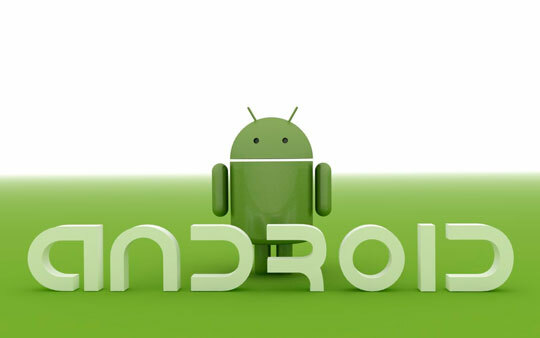 If you are looking for ICS custom rom, you should try CM9. I recently flashed the cow ROM but i found out that it's doesn't read Arabic language or type it . How can I install languages to my phone ? Can you tell me what is your baseband version to help me solve this problem. To check baseband version: go to setting>about phone . You should see the baseband version. Also the data network mode isn't working . When I activate it , it doesn't show anything in the status bar and I can't connect to the internet . Can u give me a download link for the stock rom in egypt because i cant restore it from backup it says md5 mismatch . I also cant copy it from the computer to the mobile . 1. Download this http://www.mediafire.com/?3ede8l122flc859 and install using CWM. 2. Download this https://www.dropbox.com/s/6n90vkr0jos9s7n/Arabic_Patch_DXML3_Fix.zip and install using CWM too. 3. It should working now. The network data working fine in all cow roms. After you activate packet data and if no icon shown in status bar, restart your phone and wait a few minutes. It should work just fine. It says I have to flash the custom ROM with odin , why can't i flash it like any custom ROM ? Only stock rom can be flash using odin. Custom rom is only can be flash using CWM. Wait for my post on how to flash stock rom using odin. What data should i wipe? Should I backup first or wipe data first? One more thing, the zip file (the rom) must be copied to the USB storage or to the external SD card? I recommend u backup first. and the zip file need to be copied to internal storage aka usb storage aka internal sd. Thank you so much i installed cm9 rom and it runs smoothly on my sgw!!! Games doesnt lag anymore and mutitasking is so smooth!!! Terima kasih!! /thankyou!! What about hebrew? I don't care about hebrew UI and keyboard, I use ASK anyway. just being able to read/write hebrew, like official ROMs. Is this normally a problem?